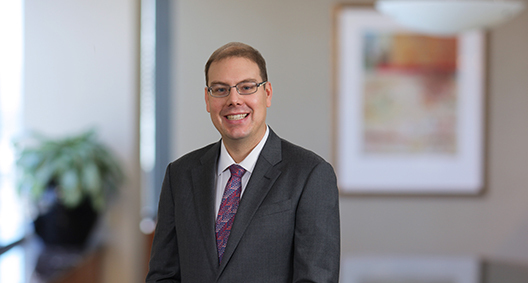 Eric Witt is a pragmatic employment litigator, helping employers efficiently resolve employment disputes, frequently including wage and hour class action cases. A thoughtful communicator, he also counsels employers on complying with state and federal employment laws and on human resources matters. Drafted a successful motion for summary judgment that established legitimate business reasons for termination of an under-performing employee at a specialty medical practice accused of wrongful termination, discrimination and retaliation. Drafted a successful motion to dismiss on behalf of a regional trucking company accused of disability discrimination. The motion was based on the fact that the medical condition alleged by the plaintiff was not recognized as a disability under California law. At mediation, resolved on behalf of a national hotel and lodging chain a lawsuit involving allegations of discrimination, failure to accommodate a disability and wrongful termination of employment. Convinced plaintiff’s counsel of serious defects with plaintiff’s case, resolving the matter for a fraction of client’s potential liability. Successfully opposed plaintiff’s motion for certification of a class of farm workers alleging violations of the Fair Labor Standards Act by demonstrating that class members were not similarly situated. Successfully moved to compel individual arbitration of a case filed as a class action against a construction services and heavy equipment leasing company in which the plaintiff alleged wage and hour violations under California law. The motion was based on the plaintiff’s prior execution of an agreement to arbitrate employment claims. Counseled a national distributor of office equipment on how to respond to an employee request for accommodations for a physical disability. Advised a trucking company regarding the proper classification of workers as employees or contractors. Provided advice related to protecting trade secrets and proprietary information for an insurance brokerage firm.